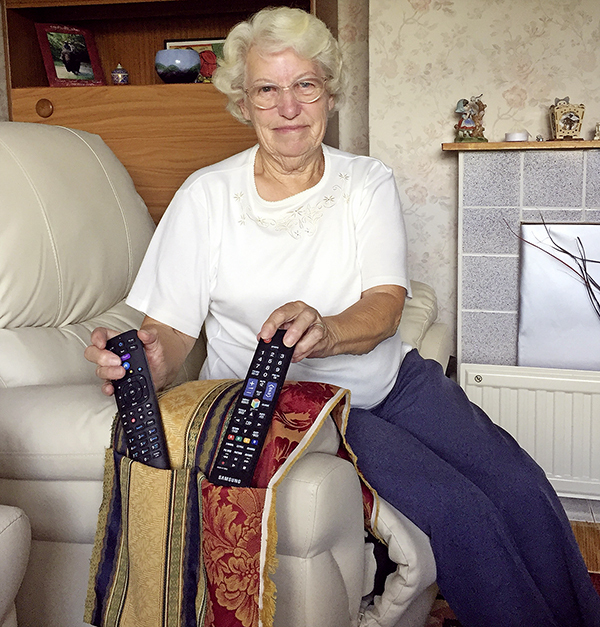 When I bought new armchairs I was very pleased with them, but my TV remotes kept falling off the arms. I found a piece of material in my sewing drawer. I folded it up at one end and sewed around the edge, then up the middle to create two pockets. Then I draped the material over the arm of my chair. Now I slot my remotes into the pockets, and I don’t have to pick the controls up off the floor — perfect!